For $15 on December 13, you'll be able to add three hours to Gears of War 3's storyline campaign by downloading a new expansion to the game called RAAM's Shadow. You'll also be able to play as a bad guy in it. The creators of Gears of War 3 spilled details on the second big downloadable content release for September's Xbox 360 exclusive today, promising that RAAM's Shadow will add more than three hours of gameplay through a mini-campaign set after Emergence Day, the event that triggered the war that has been raging through the three Gears games. Emergence Day preceded the events of the original Gears of War by 14 years. In RAAM's Shadow, you'll be playing as members of Zeta squad, including Michael Barrick from the Gears comics, Lt. Minh Young Kim from the first game, Tai Kaliso from the second and a new character named Alicia Valera. 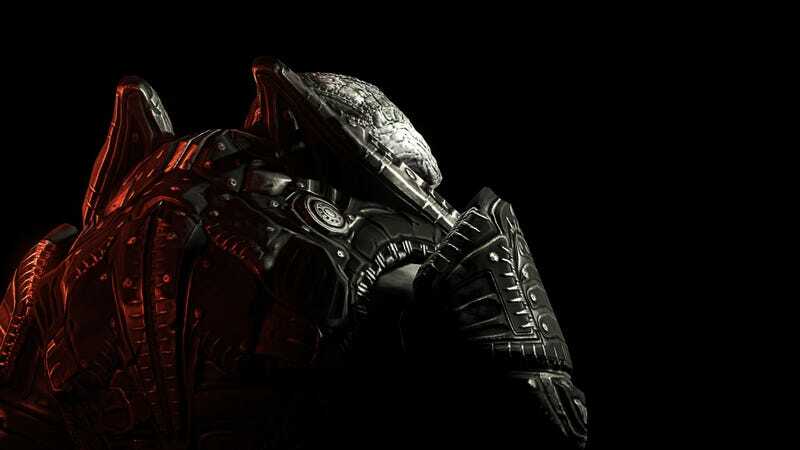 Players will also play as RAAM, essentially taking on the role of one of the end boss of the first Gears of War as he storms a human stronghold. The $15 expansion will also add six characters to multiplayer, an opportunity for 250 Achievement points and the Chocolate Weapons Set, which is presumably a silly, alternate array of guns for multiplayer. Yummy! Those who bought the Gears of War 3 season pass will get RAAM's Shadow as part of their pass.